As Saturn approaches its August 11th equinox (during which the Sun will be directly above the gas giant’s equator at noon for 27 months), the Cassini Equinox Mission can do some moonlet spotting. During this time, sunlight will cast long shadows of any object protruding from the 10 metre-thick rings. 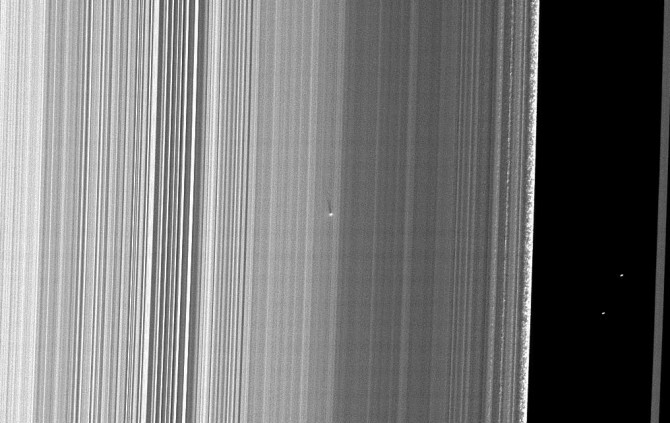 In this case, hidden inside Saturn’s B-ring, a moonlet with a diameter of approximately 400 metres becomes obvious when sunlight hits the rings edge-on. The result is a very obvious 25 mile-long shadow. This discovery wouldn’t have been possible during any other time, as Cassini can only see the small rock because of its shadow. 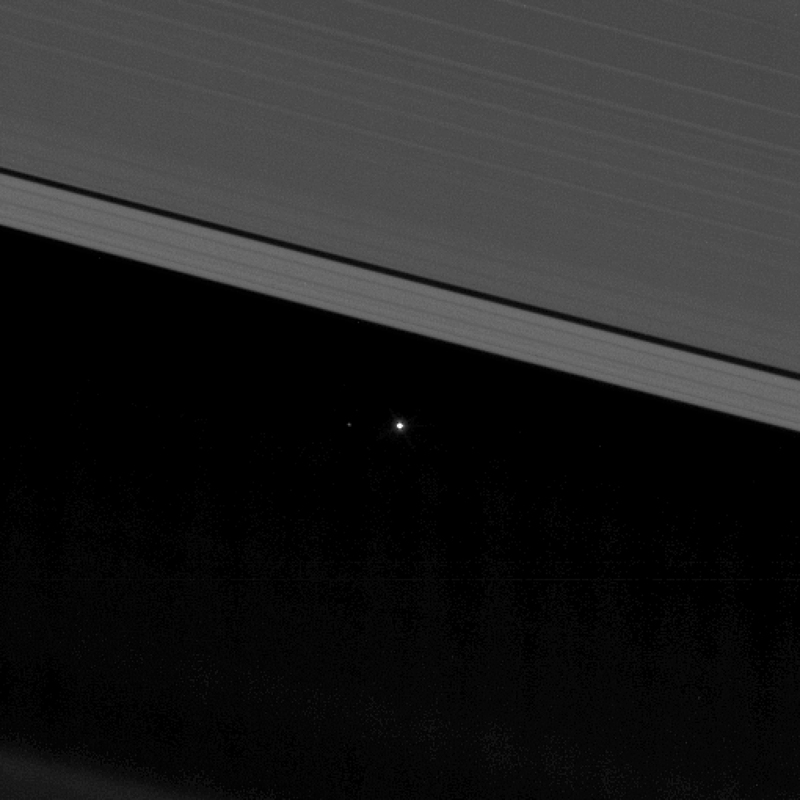 If the Sun was above or below the rings, no shadow would be cast, and therefore no moonlet would be visible. Source: Wired, thanks to Helen Middleton (@herroyalmaj). Saturn’s Hexagonal North Pole: What is Causing It? 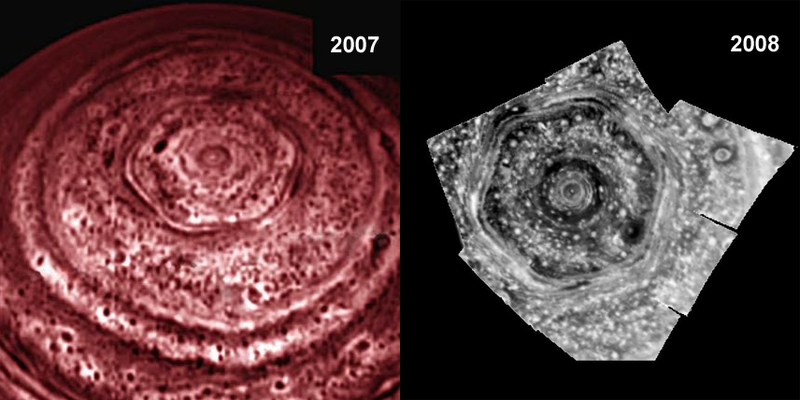 The mystery of Saturn’s hexagonal shape embedded in its violent north polar cyclone just became more intriguing. NASA’s Cassini probe has been orbiting the ringed gas giant for four years and has just returned some of the most detailed images of the planet’s stormy atmosphere to date. The south pole has been mapped and the north polar region has been imaged in near-infrared wavelengths. The north pole is currently facing away from the Sun, so by observing the atmosphere in these wavelengths, Cassini scientists can see Saturn’s cloud formations silhouette against the background glow of the gas giant’s internal heat. This provides the perfect opportunity to see the hexagon in unprecedented detail. So what is generating this mysterious six-sided shape? 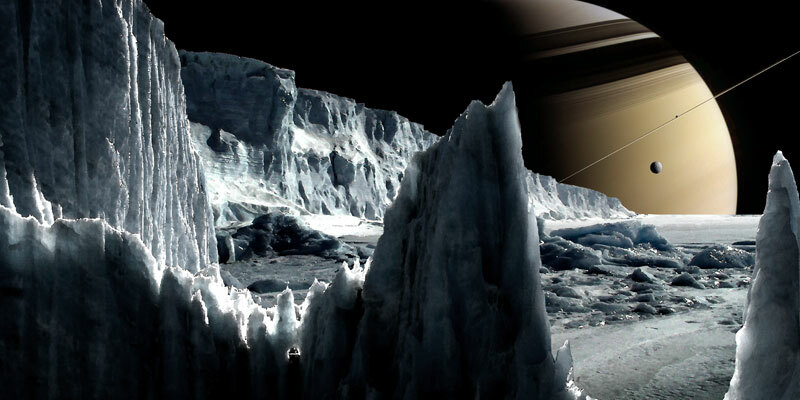 Author Ian O'NeillPosted on October 13, 2008 December 1, 2018 Categories Opinion, Physics, PlanetsTags Cassini, Saturn, There's something strange about that, Universe Today, Wow31 Comments on Saturn’s Hexagonal North Pole: What is Causing It?